SFR Skates Official Blog: VISION HAS GOT A NEW LOOK! Introducing the SFR Vision Canvas Skates! The SFR Vision quad skates are super popular, and now there are even more designs to choose from! 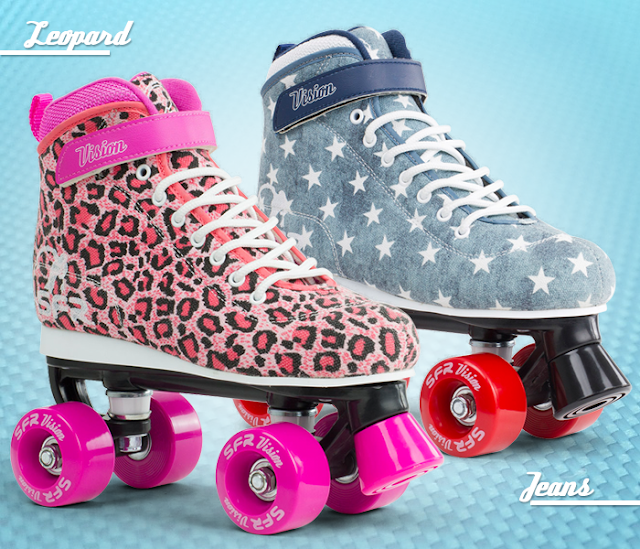 upper, in a choice of 'Jeans' or 'Leopard'. For a full product spec and a list of stockists check out our website.